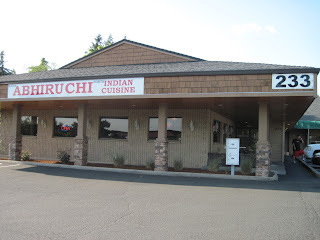 Abhiruchi is an Indian restaurant on NE Chkalov Drive in Vancouver, Washington. 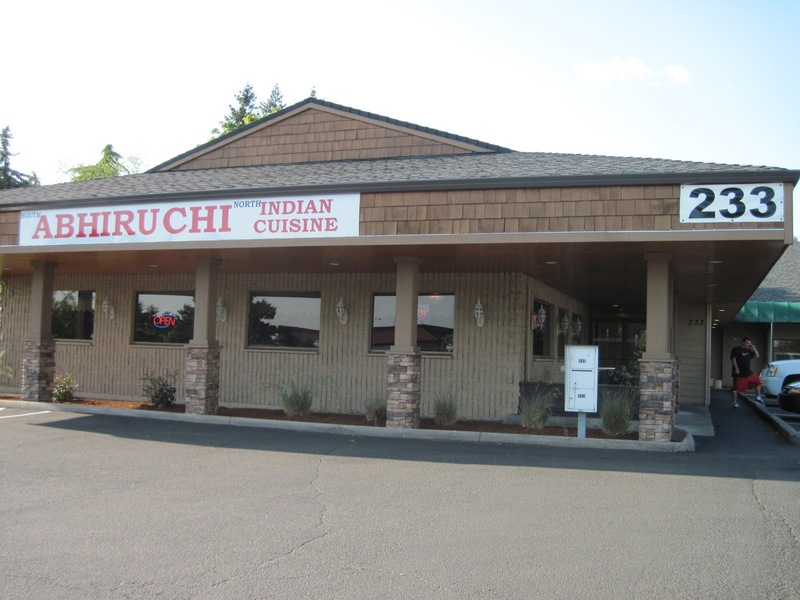 Craving some great Indian food in Southern Washington, I turned to my trusty Yelpers for a great place in the area. With stellar ratings, I figured I couldn't go wrong with this one. I came here in mid-May with my mom and a friend to check this one out. Although the sign on the window said dinner started at 5 p.m., we still were allowed in and seated before that time. They like to wow pandas from the start! For appetizers, we shared naan and some lentil wafers with a triad of sauces (mint, tomato, and coconut). The circular wafers and accompanying condiments basically resembled an Indian version of salsa and chips. 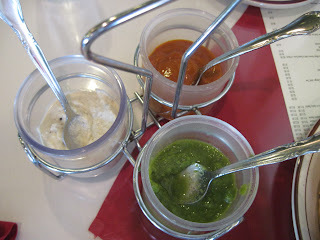 I liked all three sauces, with the coconut getting a slight nod over the others. 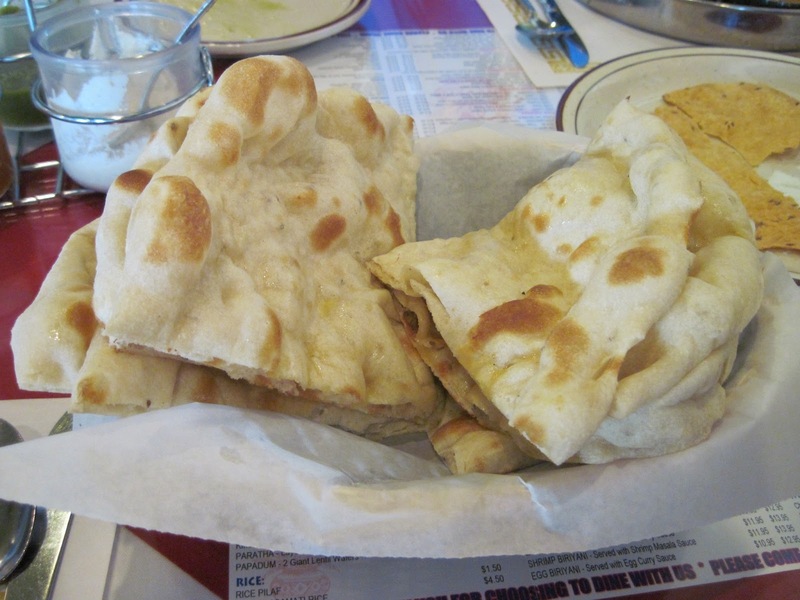 The naan was also marvelous, possessing fluffy, light qualities. Unlike my two dinner companions, I didn't eat too much of this, knowing more food was yet to arrive. Panda wants entrees! Oh wait, more small dishes to go with our entree. 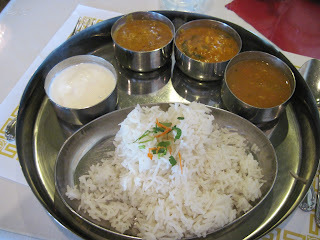 We then each got a tray with raita (yogurt), papadum dal curry, veggie curry, sambar, and basmati rice pilaf. 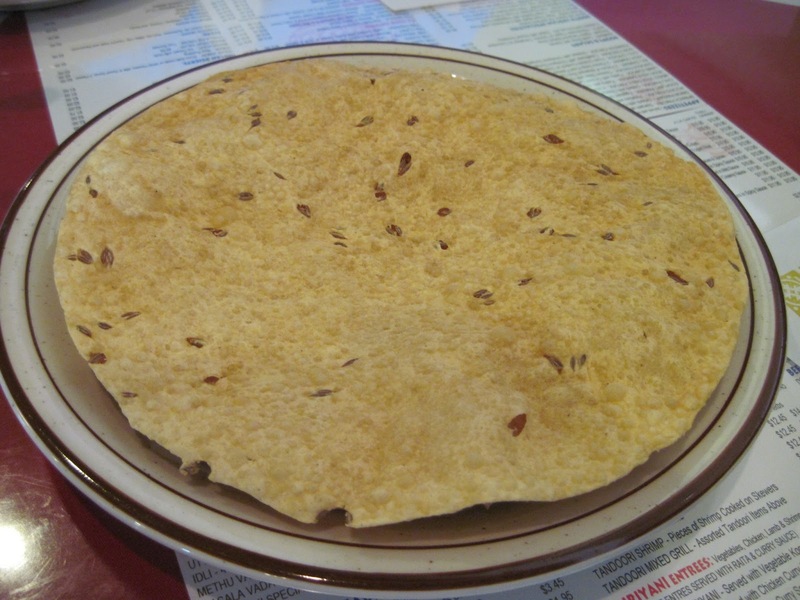 Again, everything just filled with robust flavor, very well prepared. 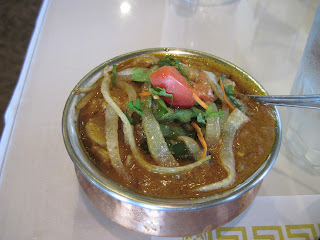 Sambar is more of an Indian stew, a lighter consistency than the creamy curries. Panda finally gets his spicy entree! 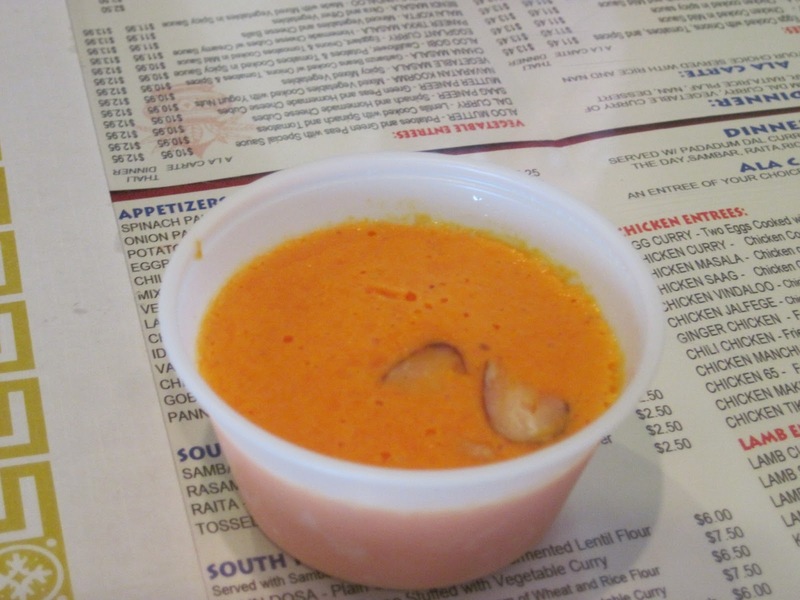 I picked Chicken Jalfrese (extra spicy) this time. 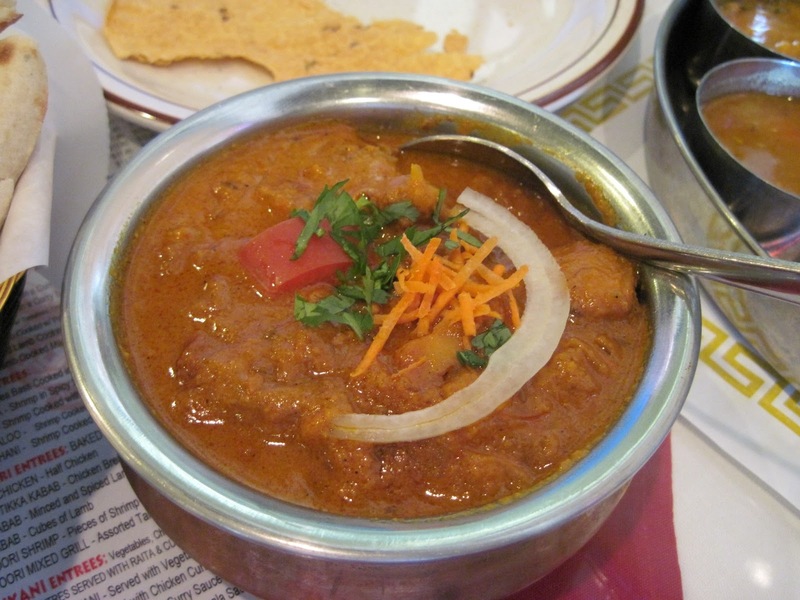 Moist, large chunks of chicken combine with various vegetables (usually peppers, onions, and tomatoes), stir fried in oil and spices. The temperature heat and the noticeable spicy aspects -- plus me eating fast -- got me to sweat a little. That means I'm burning calories as well, right? My mom had Chicken Vindaloo (some heat), while my friend had Shrimp Makhani (a mild creamy sauce). Both enjoyed their meals. 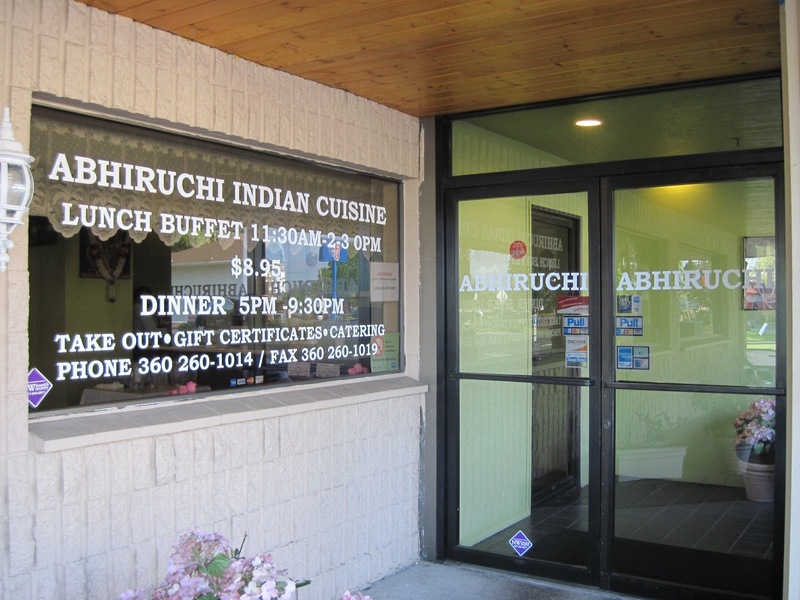 If you get the full dinner meal, dessert awaits. I tried Gulab Jamun, basically a spongy ball in a sweet light syrup. That ball pretty much disintegrated in my mouth, so it could be strange if you're not ready for that experience. Mom had rice pudding, which was unlike others I've personally had. 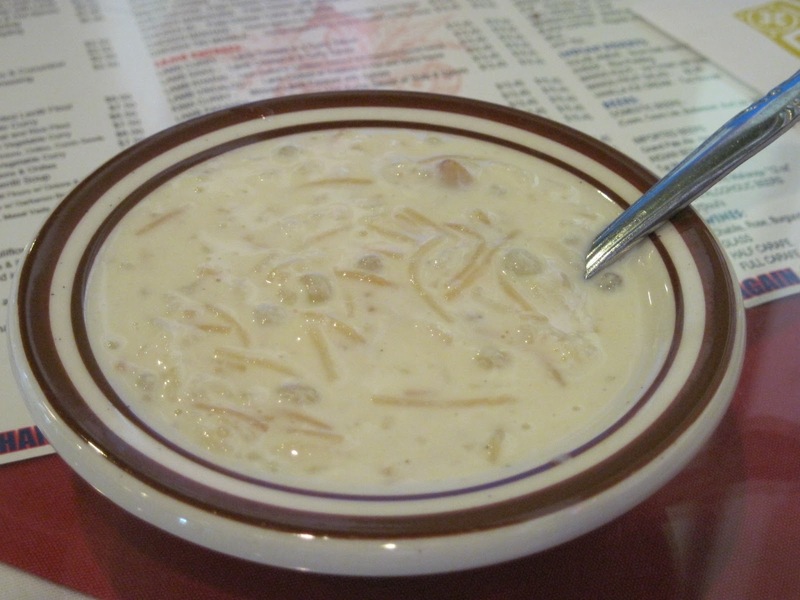 Instead of the cold, short-grain, creamy sweet dessert I'd be used to, this sweet dish was warm, used long-grain rice, and had a soupy nature to it. 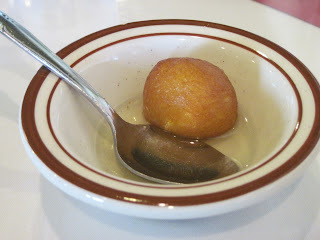 My friend had mango kulfi, really a mango ice cream with nuts. This dessert broke off almost in sheets of ice, quite tasty.